What are the dimensions on this chair? 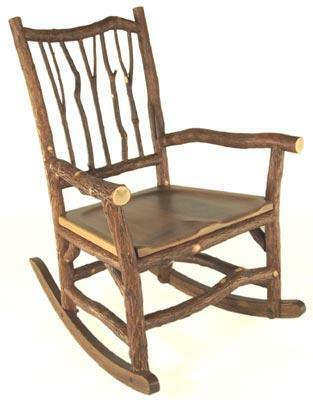 The dimensions on the Taos arm chair rocker are 25w x 34d x 44h. This includes the length of the rockers. Are these chairs designed for the outdoors and how much are they? Trying to find some unique chairs for our new outdoor patio/fireplace and really love your designs. We live in CT so ur winters can be harsh! I’m sorry, Kristin, but these chairs are designed for a sheltered location, such as a covered deck, porch, or screened-in porch. They are made from willow, which is not rot resistant. So they will not hold up for over a year or two out in the weather. Do not believe anyone who tells you otherwise. Even though we put on a premium sealer, they still need to be placed out of the sun and rain as much as possible. Thank you for your great question, Kristin!